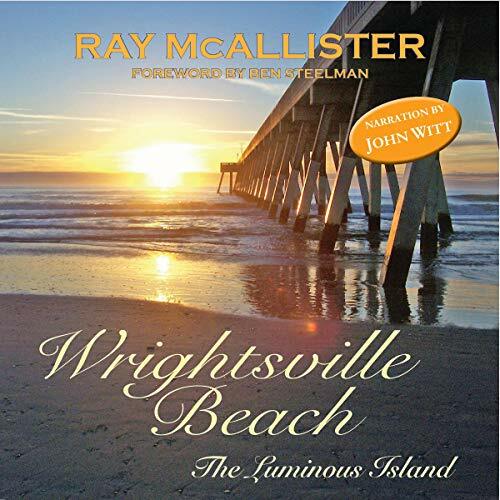 Wrightsville Beach: The Luminous Island, award-winning story of the North Carolina island by Ray McAllister, is back in an enhanced 2nd edition. Wrightsville Beach has been a continuous seller since its 2007 publication by John F. Blair, Publisher. Included in the new edition is a new foreword by Washington StarNews book columnist Ben Steelman and an afterword by the author detailing changes and challenges facing Wrightsville Beach. Soon after crossing the drawbridge from the mainland, bearing left will take you to the famous Johnnie Mercer's Fishing Pier and near the site where a giant sperm whale named Trouble once washed ashore and refused to leave. Bearing right will take you to the classic downtown and points south, including the Coast Guard station and the site of the late, great Lumina Pavillion. Wrightsville Beach is Ray McAllister's homage to a special place, a book that captures not only Wrightsville's history but its heart. Along the way, he shares stories of fire and hurricanes and beach trolleys and big bands. Through all the changes, Wrightsville has never forgotten the hospitality that made it such a destination in the first place. About the author: Ray McAllister is a former Richmond Times-Dispatch columnist and former editor of Boomer magazine. He is the author of three other award-winning coastal books, Topsail Island, Hatteras Island, and Ocracoke, as well as The Forum Files: The Stories Behind the Richmond Forum. He also publishes other writers' works on the North Carolina coast and central Virginia.